Wow, the last two months have been a bit crazy around here. The following is an update on where The Alchemist currently stands in regards to a new retail location. Be warned—this is very dull. You may want to skip through to the end. This past November, we closed our retail shop due to mounting pressure associated with poor traffic flow. This decision was not planned, and we didn’t have a clear vision of our future when this decision was thrust upon us. However, a few days after we announced the closing of our shop, we learned about some new legislation that just passed in 2013. This legislation allows for wineries and breweries to distribute their own product to an off-site retail shop. This was exciting news to say the least. Previously, it was illegal to sell your own beer anywhere other than on the premise of the brewery. Everything sold off premise was required to go through a distributor. Further, you could not sell to any retailer with common investors as the brewery. We immediately decided that we would find a space for our retail shop. Easy, right? This seemed quite simple—all we would need is room for a walk-in cooler and plenty of parking. We quickly found what we believed was an ideal location for our shop. There was plenty of space, lots of parking and it was easy to access. Most importantly, we were told it was zoned for retail. After negotiating a lease, we found out that the space was not in fact permitted for retail. Although a portion of the property was zoned retail with the village of Waterbury, the original Act 250 permit on the space did not allow for it. (Sound familiar)? So, our potential landlord applied for an Act 250 amendment. Because of our past traffic issues, we were required to have a traffic study done for this amendment. After completing the study, it was determined that we would have to widen route 100 and put in turning lanes to accommodate our retail traffic. We are not opposed to investing in our town or state’s infrastructure as long as it makes sense for us long term. However, we quickly realized that this would not be a smart decision for The Alchemist. Besides the huge cost associated with the highway upgrade, the time required to get through all the red tape would have been daunting (simply to open a free standing retail shop). We have looked at dozens of spaces for a retail shop in the Waterbury area, yet none have met our criteria. We finally realized that we needed to switch gears once again. Instead of depleting resources—both time and money—on a retail shop, we are focused on finding a property where we can build a second small brewery with a retail shop/tasting room. Although we loved having the public visit us at the existing brewery, it simply wasn’t big enough and we certainly did not produce enough beer to be open to the public. Having no beer to sell four days out of the week is not an ideal situation for anyone. Over the past month, we have had plenty of time to discuss and plan our next brewery. It may evolve a bit over time, but here it is in a nutshell. We are looking for a piece of property to build a second brewery. 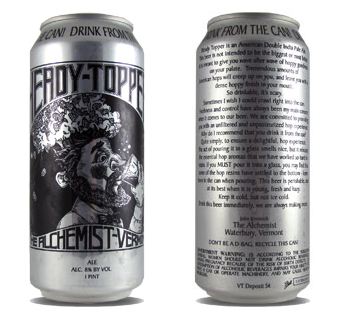 Our current brewery will continue to make 9000 barrels of Heady Topper per year. Our distribution company (Alchemy Distributing) will continue to run from this brewery. Our new brewery will make beer for on premise sales. We will build a large tasting room and retail shop—much like our old shop but bigger and better designed to sustain our customer base and traffic. John has all sorts of exciting things planned in regards to the beer. I will leave the brewery update to him. We have many properties under consideration and are confident we will find something ideal and close to home. We always envisioned an energy efficient brewery with lots of green space. It will be a great day when we are able to open back up to the public—we love and miss the connection to our customers. 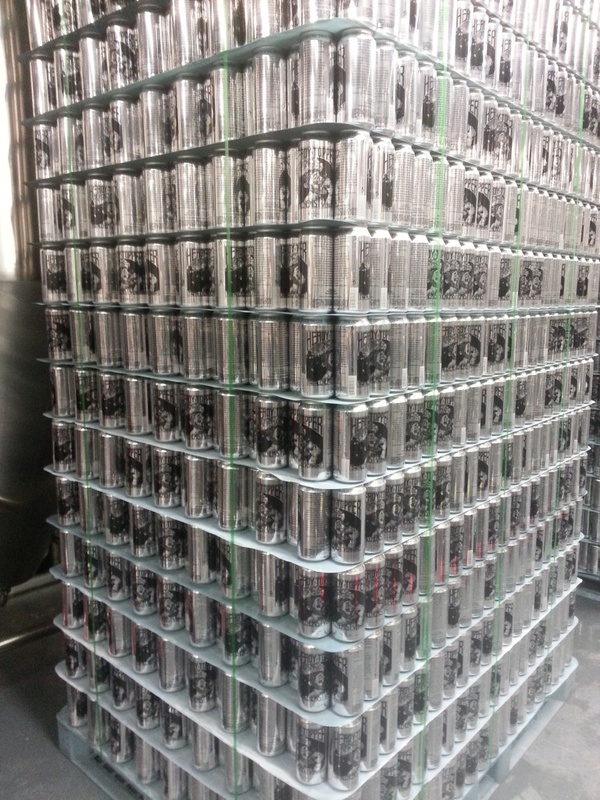 Everything is going great with the distribution of Heady Topper. Our retailers are doing a great job with their allocations, and ultimately, it is a little easier to access than it was when our shop was open. It is also great for some of our smaller retailers—the increased revenue means a lot to them. 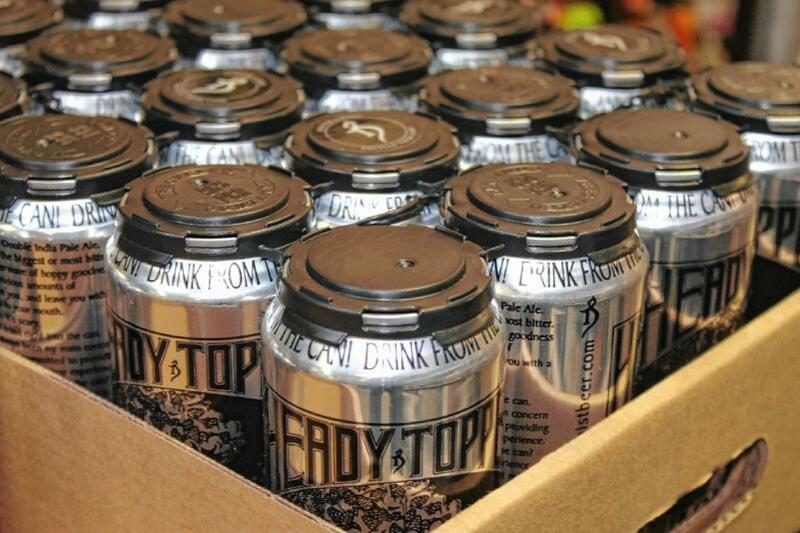 Although it lasts longer (a retailer may have it for 4 days instead of 1), Heady continues to sell out each week. This is great news as we can always guarantee it is sold fresh. A special shout out to our incredible staff. They have all been so flexible and willing to work in any capacity during this transitional time. We have retail employees that are driving our delivery van, shoveling out the mash tun, packaging online orders, visiting local accounts—not one complaint and they are all doing such an amazing job! Without them, we wouldn’t dream of building a second brewery. We are all excited about our future here at The Alchemist. Look for a brewery update from John in the coming days. Reblogged this on Mr Hops Beer Talk.